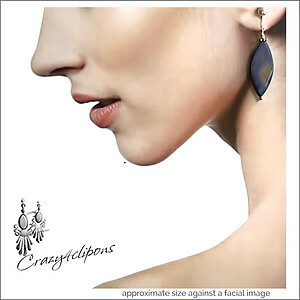 Features: Simple and easy to wear. 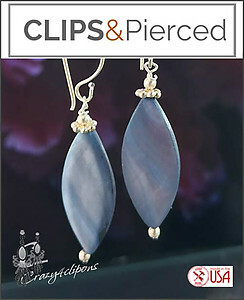 Blue Mother of Pearl ovals paired with silver components made this understated earrings. They look lovely with Jeans due to the hue of the beads.